Labour’s conference showcased a party preparing for government. But the vibrant mood also expressed the strengthening of conference’s role itself. Last week’s Labour Party conference in Liverpool was in some regards an ordinary party affair. The conference saw inconclusive battles over party reform, set-piece policy announcements, and fudges over Brexit, all presented to the rest of the world through the misleading lens of the British tabloids. Yet if many delegates went home with the traditional “conference flu,” the Liverpool summit also reflected the dramatic changes that have taken place under Jeremy Corbyn’s leadership. 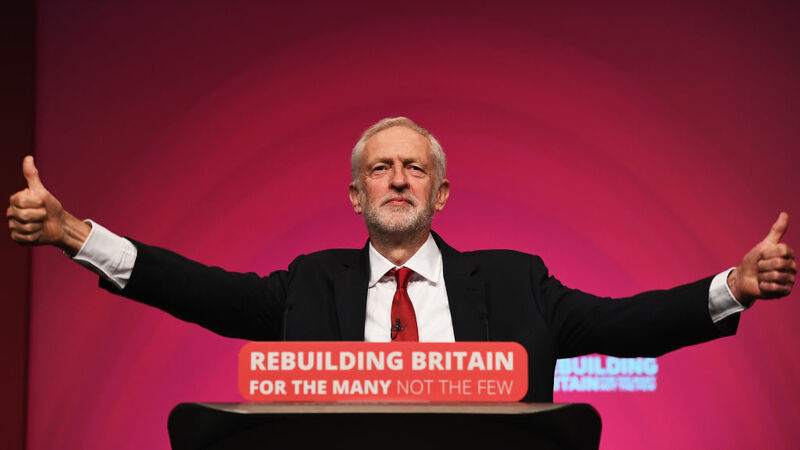 Efforts to democratize party structures remain an ongoing battle, but what was most notable is the new life that Corbynism has breathed into conference itself. The Times’s Daniel Finkelstein complained that in Corbyn’s outlook, “devolving decision-making to the party conference is a key part of the project to restore power to the workers.” And he’s right. After decades when members and trade unionists were shut out of decisions in Labour, this year’s conference showed how they have taken back control. Conference’s role to direct party policy and indeed Labour MPs has in fact been in dispute throughout the party’s history. While Britain’s other main parties emerged as factions in Parliament, rather than mass-membership parties, Labour has its origins in series of trade unions and small socialist parties. They together formed a Labour Representation Committee (LRC) which then sponsored Labour candidates for Parliament. Despite these underlying structures, throughout the party’s history the Parliamentary Labour Party (PLP) — the bloc of Labour MPs at Westminster — has in effect been sovereign between conferences. While a separately elected National Executive Committee (NEC) charts their progress over the course of the year, this imbalance has brought problems wherever Labour governments disregarded the often more left-wing economic policies passed by conference. For evidence of this we need only look at the Labour governments of 1974–79, an experience which has major implications even today. Cabinet’s disregard for the radical economic democracy of the 1974 manifesto led to the formation of the Campaign for Labour Party Democracy; in subsequent years this theme would loom large in the deputy and leadership campaigns waged by the party’s then most prominent left-winger, Tony Benn, himself an inspiration for, and ally of, Jeremy Corbyn. This reached its high point in the 1980 conference which saw sweeping victories for the Left on both party structure and policy. After this a pattern settled in where CLPs would normally send delegates from the Left, the PLP would support much more right-wing policies, and the unions operated in between the two. The Left won on policy such as opposition to European integration and support for nuclear disarmament, but the party’s core structures normally remained unchanged. Eventually this allowed for the right of the party to turn back the tide. The Blairite turn of the 1990s and 2000s, changing the party’s agenda toward the neoliberal center, was accompanied by gradual moves to strip conference of its policy-setting role. This was noticeable in the creation of the National Policy forum, a toothless organization specifically designed for the purpose of imposing policy on the membership from above and to obstruct scrutiny by conference. In these years, conference became less and less a parliament of the movement and increasingly a place where unaccountable MPs could engage in corporate networking and announce policies to TV cameras over the heads of a passive membership. The surprise election of Jeremy Corbyn in 2015 has, however, helped restore conference’s central role in Labour Party life. Corbyn, a man steeped in a Bennite tradition, promised to take the democratic decisions of Party members and sister unions as sacrosanct. It is also important to remember that the Labour leader’s traditional levers of power and influence, from think tanks to corporate advisors, are unavailable to Corbyn; if his predecessors often relied on parliamentary patronage, he has in the past been no-confidenced by Labour MPs. Conference, involving the wider membership, thus provides one of the few areas where Corbyn’s agenda can expect a high level of support. The fact that this resembles the energy of the Labour conferences of the 1970s and 1980s is, sadly, also grist to the mill of the many journalists who are themselves stuck in the battles of yesteryear, and who enjoy painting the party’s life in the colors of that era. Hence the lurid depiction of Stalinist politburos, Momentum thugs, and hard-left union barons preying on the poor old MPs who are only trying to do their jobs. In reality, despite the energy of conference, its outcomes, and its compromises, are often rather less dramatic. This isn’t to say there has not been a decisive shift left. Plans for workers’ control unveiled by McDonnell, including provisions for worker positions on company boards and mandatory dividend schemes for companies with over 250 staff, are far to the left of any Labour program since 1983. As for foreign policy, the Liverpool conference saw a lively debate on Gaza; one delegate Colin Monehen became a social-media hit thanks to his speech taking place against the backdrop of a sea of Palestinian flags on Conference floor. Away from the main event, thousands of conference delegates were also energized by The World Transformed (TWT), a festival of left-wing ideas which saw its third sold-out year. This saw sessions focusing on potential avenues for socialist advance, from a review of the 1980s experience of municipal socialism in the Greater London Council, to a session on the “Lucas Plan” for transforming production in a socially useful direction, and even a debate on the politics of fighting “In and Against the State” in a session addressed by Shadow Chancellor John McDonnell. Reflecting the movement’s internationalist spirit, TWT was also addressed by speakers from Julia Salazar to French radical-left leader Jean-Luc Mélenchon. TWT (as well as the official Labour fringe) also saw the relaunch of Tribune magazine, an exciting development in giving socialist ideas a space in a print media which otherwise largely ignores or dismisses the Corbyn project. However, much like conferences past, there were lows for the Left as well. Many of last year’s motions on party structure were remitted in favor of a democracy review, but the end product was widely seen as a damp squib. Mandatory reselection of MPs (a kind of primary system for MPs, and long an aim of the Left given the more conservative stance of sitting Labour members elected in the Blair-Brown period) was left out of the review in favour of an easier “trigger ballot” process (in effect meaning, the staging of a confidence vote in a sitting MP). Reforms to the leadership election process arguably may make it more difficult for a left-wing candidate to get into the ballot in future, while the vast majority of party structures, with the exception of Young Labour, remain largely untouched or with 50/50 votes split between members and affiliates. There was also much talk of divergences between Corbyn-supportive unions and the Momentum-supporting CLP delegates. On the first day of Conference this tension boiled over in the Conference Arrangements Committee report, in effect an indication of what issues the Conference is to discuss. The report was rejected by 90.5 percent of CLP delegates but still passed thanks to the support of all the trade unions except the FBU firefighters’ union. It is, however, easy to overstate this divide. The Left both in the membership and the unions voted the same way on policy and continue to work closely on the NEC and in selections. Unions were and still are fundamental to the Corbyn project. Yet it is also true that there are differences between them and other parts of the Corbynite left. This was not helped by misleading media headlines on the conference, above all concerning Brexit. The Labour leadership, influenced by the Bennite tradition, has a healthy skepticism of European integration nourished by the EU’s own past record of hostility to socialist-led governments. At a more straightforwardly electoral level, seven out of ten current Labour seats voted to leave the EU in the 2016 referendum. Most of these seats saw a strong increase in the Tory vote in June 2017’s snap election and have been relentlessly targeted by the Conservatives ever since. This, however, has to be balanced by the fact the party, and to a lesser extent the union leaderships themselves, overwhelmingly voted for Remain in 2016. Moreover, leaving the European Union comes in the midst of a rising tide of xenophobia across Europe and the dire economic implications of a Tory Brexit potentially involving no deal with the EU. Unions also have concerns about jobs, with a big employer like Jaguar Land Rover recently announcing that it would put staff on a three-day week due to Brexit concerns. Corbyn, Shadow Chancellor John McDonnell, and Shadow Home Secretary Diane Abbott, a key ally of the Labour leader, have deftly found their way along this tricky path. They have focused on holding the government to Labour’s “six tests” for a good Brexit deal, among other things protecting jobs and avoiding a race to the bottom on rights and regulations. Their line is to insist on the need for a general election while not explicitly ruling out some kind of referendum. This broadly mirrors the policy of most trade unions such as Unite and is also the formal policy of the wider Trades Union Congress, with very few unions backing a rerun of the in/out referendum as a default option. The 2018 Labour Conference however saw some movement on this issue. Many large trade unions have moved to explicitly support holding a referendum on the terms of exit (GMB) or one to take place if it is impossible to instead force a general election (Unite). At its Congress earlier in September the TUC decided to support a vote on terms of exit, though without calling for a straight Leave/Remain choice. Among the CLPs, a dense network of pro-EU ginger groups has been stepping up its activity. Last year figures from Labour’s traditional right-wing factions, Labour First and Progress, formed a pressure group, Labour Campaign for the Single Market, while some campaigning groups and small rail union TSSA have backed a Labour Campaign for Free Movement. Neither received significant support from either unions or from Momentum, which backed the party’s somewhat ambiguous call for “access to” rather than “membership of” the European single market. Indeed, back in 2016 neither unions nor Momentum-supporting CLP delegates voted for Brexit to even be discussed at Conference. All pro-EU events at conference were advertised on a slick “TogetherAgainst Brexit” app for conference attendees, run by the liberal Astroturf campaign group “For Our Futures’ Sake.” The “Lexit” side of the debate is yet to find any real organizational expression, though it was notable that both former Syriza MP Costas Lapavitsas and French presidential hopeful Jean Luc Mélenchon received very positive receptions at TWT where they made stridently anti-EU arguments. These campaigns’ combined efforts saw about 150 motions on Brexit submitted to conference, overwhelmingly from local parties in London and the South East, with a majority favoring a referendum on EU membership. Yet as over the last two years the Corbyn leadership’s position was upheld, in essence leaving all options on the table. The final motion passed by conference called for a fresh general election while leaving open the question of a public vote on the ultimate Brexit deal. This was a result of “compositing”, the process through which the ultimate motion was written. Motions that make it to conference floor are produced by the merging together the many different texts submitted by CLPs and affiliates, with the effect that they are often rendered vague enough to allow multiple readings. If some pro-EU ginger groups and even foreign media claimed Labour had voted to take a stance against Brexit, in reality it merely voted not to rule out a referendum. At the same time, battle is joined over what exactly a “people’s vote” would mean. In his speech, Shadow Brexit secretary Sir Keir Starmer, a relatively centrist figure in the Shadow Cabinet, went off script and trailed a fresh vote on remaining in the EU, in direct contrast to John McDonnell who argued any vote would only regard the specific terms of leaving. Likewise, TUC General Secretary Frances O’Grady announced the TUC’s commitment to a people’s vote the day before Congress had even voted on it and has been equally ambiguous on what such a vote will actually entail. Ultimately, delegates did not vote to call for a fresh referendum of any kind. Labour’s stated preference remains the immediate calling of a general election and a Corbyn-led Brexit. Some powerful forces in the movement may try to bulldoze the party into more specific policies that were not voted for, and in the present context, to undermine the leadership. In this situation, the call for party democracy is decisive; it is a battle to ensure policy is controlled by members, and not those MPs and press barons who seek to miscast what Labour stands for. What was clear is that Labour Party Conference has become conference again. The debates on the floor matter. There are normal, comradely tensions, and even some unexpected alliances produced by the debate over the European Union. The press has covered most of it inaccurately. But the simple reality is that the party is changing, and so, too, its conference. Corbyn, like Tony Benn before him, promised to deliver power back to members, and he has. It is now up to us to use that power to build for socialism in Britain. Harry Williams is a rail worker and Labour Party activist.